In 2008 unregulated credit default swaps brought the economy to its knees. Ten years later, they may poised to do so again—unless policymakers reign in the big banks. 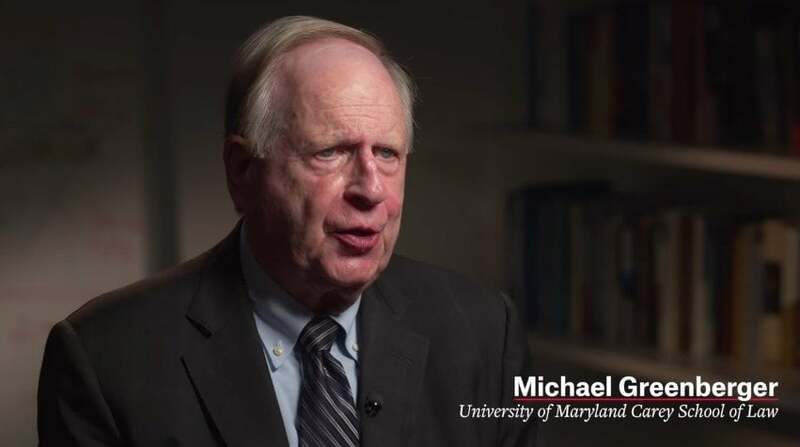 That’s the call to arms of University of Maryland Law Professor Michael Greenberger, whose new INET Working Paper details how the largest American banks have quietly parked swaps oversees, thus evading the regulations designed to prevent another crisis. Professor Greenberger and INET President Rob Johmson talk about the paper, including how swaps work, the so-called “moral hazard” of banks knowing they can be bailed out by taxpayers, and how politicians in Washington and state capitals can ensure that risky swaps never again take down the economy. As Greenberger argues, despite the rosy picture of the economy painted by politicians and the media, the lurking danger of unregulated swaps is very much real. That's absolutely right. I mean it should be said that there is a certain euphoria over the state of the economy as we sit here unemployment is at almost 20 year low and there are other Disha but there's a lot of commentary by very sophisticated academics market observers columnists that we are running up debt consumer debt credit card debt auto loan debt student debt at an amazing pace. Defaults are occurring in those markets. Now that's what we saw in 2008 with mortgages. But the important thing is not just that there are defaults but all of that indebtedness has built around it the same financial architecture that surrounded mortgages in 2008. Asset backed securities collateralized debt obligations credit default swaps and naked credit default swaps. When I get to naked credit default swaps what do I mean there are people designing financial instruments that allow you to bet for example students won't pay off their loans even though you didn't extend the debt. You get rewarded at the full cost of the loan through a naked credit default swap. That that unmistakeably the use of credit default swaps it's now legendarily part of the American culture because of the big short. The book Big Short the movie which is all about how people figured out to bet that mortgages wouldn't be paid and made billions of that same architecture that was present in 2007 2008 is being recreated around all this consumer debt most troublesome part of that is the naked credit default swaps people who have nothing to do with the loan betting that the loan won't be paid. Now the reason that was a problem in 2008 was the people who were giving the insurance didn't have capital reserves do you. Yeah but but a lot of banks AIG was the one that in September 16th 2008 came to the fore they said were 80 billion and that turned out to be 180 billion and that was when Bernanke and Paulson they let Lehman fail the day before panic ensued. Everybody was going to be rescued. Who were they rescued by the U.S. taxpayer. Dodd Frank passed in 2010 and the thought was that Dodd Frank set up transparency capital reserves collateral and fraud for these kinds of swaps transactions. What we have seen in the last few years is the four big US bank holding companies swap dealers Goldman JP Morgan Chase Citi and Bank of America. They have 90 percent of US swaps trading have crafted a loophole that gets them out of all the benefits all the remedies that are within Dodd Frank. So we're right back where we were in 2008 where not only we don't know but the regulators don't know what's happening out there. In addition we're still that in part because of stock buybacks and so forth that the corporate sector's debt is becoming the first order of magnitude that can be securitized along with all others. Steven Pearlstein within the last week wrote a really fine column more reporting than a column in The Washington Post saying this is the next big crisis. Corporations to buy back stock are borrowing money they're going into debt to buy the stock. Well that debt is going to be there's going to be an asset backed security to support that that it will go into a collateralized debt obligation that'll be triaged there'll be naked credit default swaps where people will be betting that corporations cannot pay that back. And it's sort of a no lose bad because they're paying a 1 or 2 percent premium on the full value of the payback of the debt in return that if that there is a default on what's been bet on they get all the money back even though they never made the loan. So yes we we were worried about consumer debt.